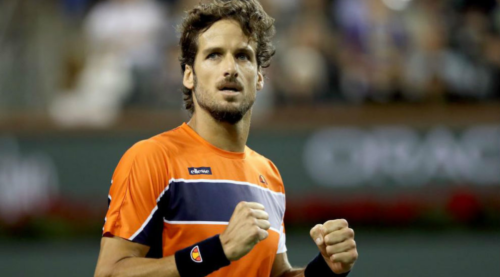 Spanish tennis player Feliciano Lopez sizzled in a photo-shoot for Vanity Fair magazine. The 36-year-old showed off his toned physique as he posed shirtless for the publication. Speaking to the magazine, Lopez revealed that she still believes in love even as his marriage with model Alba Carillo ended in March last year following an ugly turn of events. “Because I’ve seen it (love) in my house,” Lopez said. “Sometimes I say to my mother: ‘I do not know how you have endured dad so many years’. But that’s what it’s about, fighting for a common good. Lopez has a reason to say that. The 2016 French Open doubles champion is believed to be dating model Sandra Gago. The two have often been spotted together even as they prefer not to talk about their relationship in public. Meanwhile, Lopez is currently in Miami for the ATP Masters event therein. He’s participating in both singles and doubles events.